Buttercups are in the ranunculus family. The Victorians would give these golden treasures in large quantities to wish great riches upon the recipient. 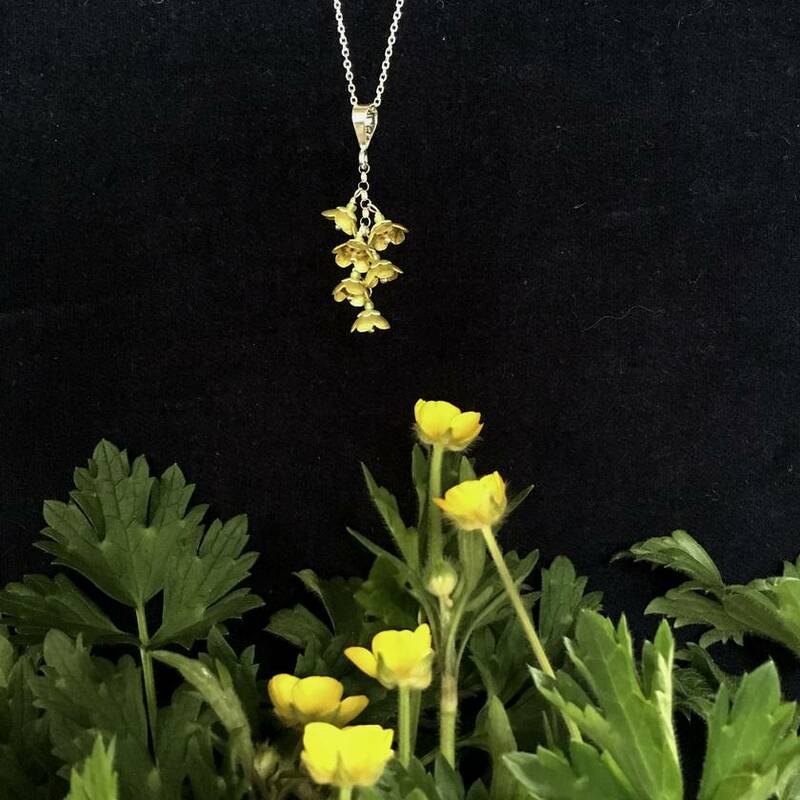 They would also be given to say "You are rich in attractions" or "you are radiant with charms" This symbolism of abundance comes from the way buttercups spread themselves abundantly through meadows. 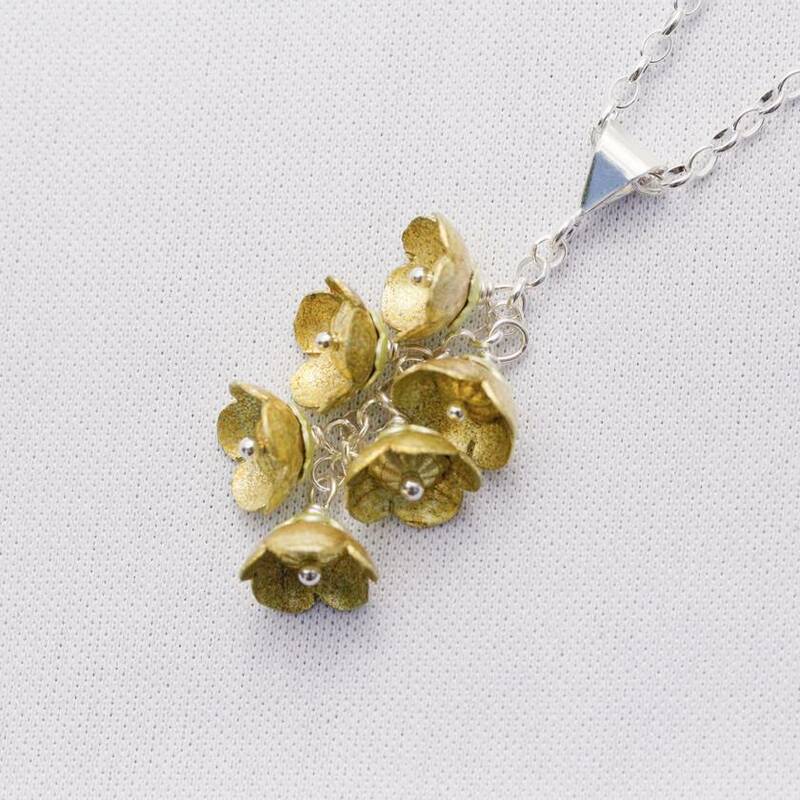 Each flower is shaped and enamelled by hand with care and attention to detail. Each buttercup flower is 7mm high and 8mm wide. 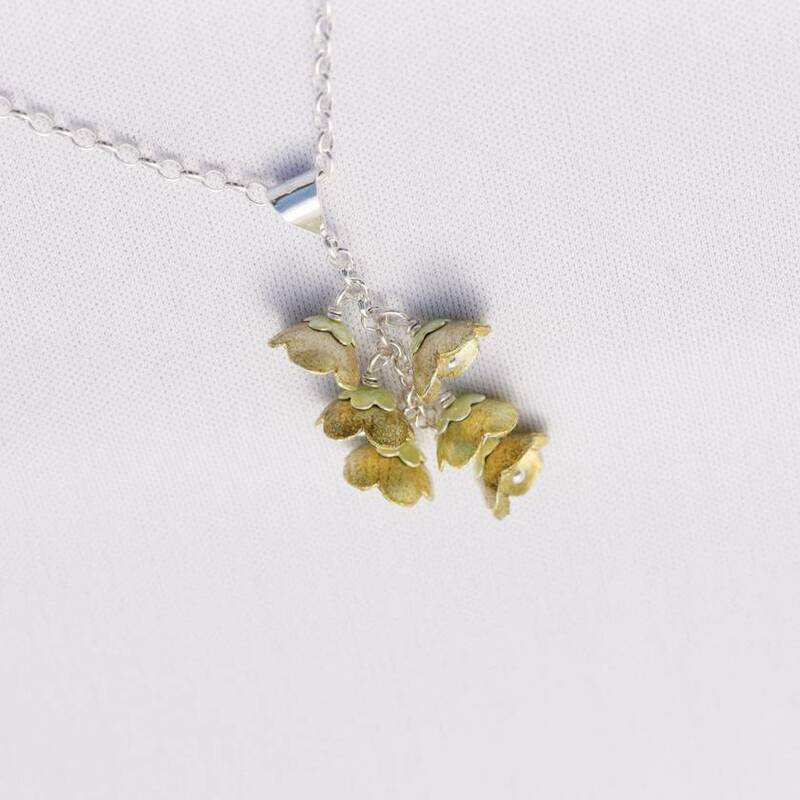 The cluster measures approximately 47mm from top of the bail to the bottom of the lowest flower. Also includes a 18 inch sterling silver chain.